Dear Sugars is one of my favorite podcasts, but I usually don’t get much out of reading the Dear Sugars column. I prefer hearing the discussion between Steve Almond and Cheryl Strayed, so, I wasn’t expecting to get a lot out of this book, but I did. I listened to this on audiobook and Cheryl Strayed narrated it herself. Most of the letter writers are in situations that don’t apply to me, but in nearly every one of them, I felt some level of kinship. I believe this is because Strayed chose letters that don’t merely elucidate a problem, but they speak to the human aspect of that problem. When she responds, she responds to that basic human conflict while also offering practical advice. That’s how I would characterize her: practical. By that, I mean, truly practical. She considers all aspects of a situation, not just the logistical, but also the emotional, psychological, and social. She also never asks people to make dramatic leaps of faith or believe in anything that is not a conventionally accepted part of reality. In her responses, she often goes into detail about some aspect of her own life, her past, or a similar problem she has faced. This can be interpreted as either narcissistic or as an exceptional level of full disclosure: this is where she is coming from. I prefer to think of it as the latter. She’s letting everyone know exactly where in her head she has retrieved her response. Sometimes, she’s also offering comradery. She’s letting the letter-writer know that he/she is not alone in their suffering. A lot of the time, that’s all we need. 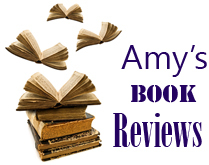 Tagged book review, Cheryl Strayed, dear sugar, Tiny Beautiful Things.